Wang Wenzeng: male, born in 1958. Pseudonym: Wang Shengquan, No. Wang Zongze, German, the 31 generation disciple of Shaolin Temple in Songshan, the disciple of Mount Wutai. People in Baoding, Hebei. He graduated from Hebei University of political science and law, and studied at Peking University's art department, visiting professor of Peking University. 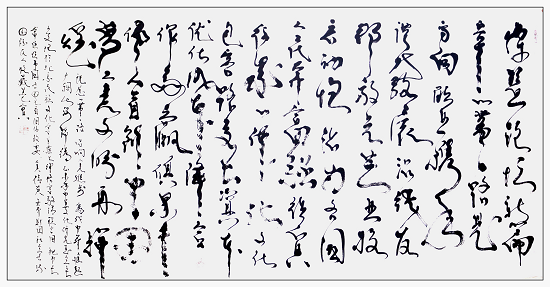 Since the age of 6, he has imitated Ou, Yan, Liu, Zhao, Chu and followed the two kings in calligraphy, followed by Zhang Xu, Huai Su, Wang Duo and Mao Zedong in cursive. We should make innovations on the shoulders of giants, highlight the style of calligraphy of the times, reflect the prosperous culture of China, construct the concept of world humanities, and realize the dream of world peace and China. His works are collected by major state leaders. His autobiographical cursive book The Chinese Dream and his autobiographical cursive book The World Dream are collected by the Secretary-General of the United Nations. World consortium collection works. Creating Wang's Six Great Spots: Eight-sided Style of Writing, True-Qi Intervention, Glue-to-Fly White-Dun Pen, Beauty's Shawl Hair, Inverted Golden Bell, and Wave Method are called "The First Book in the World". Wang Wenzeng, a master of calligraphy and painting, has been awarded the title of "Wang Wenzeng" by the Ministry of Culture and the Center of Culture and Art. In the past 70 years, seven masters have produced 100 books, 240 presidents and international politicians, world consortium, human elite, collection of books and works, Chinese ceremonial artists, first-class artists, first-class calligraphers, and national non-cultural relics. The quality heritage, the State Council special award, is known as "Wang's six absolute" and "the world's great master." 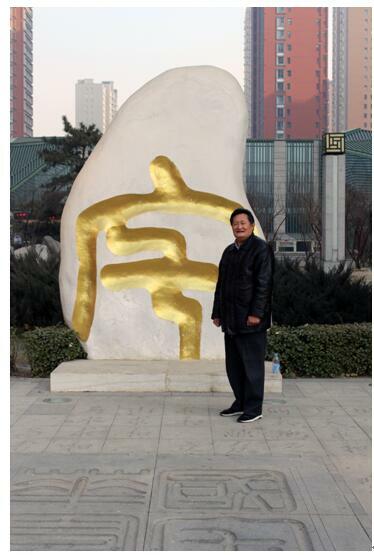 The United Nations Ambassador for Peace and Communication, the United Nations Ambassador for Cultural Communication, the United Nations and television stations around the world reported and publicized Wang Wenzeng's paintings and calligraphy. Consultant of Zhongnanhai Ziguang Pavilion Academy of Calligraphy and Painting, Consultant of Chinese Artists Association, Honorary Consultant of Chinese Calligraphers Association, Consultant of Central Government Calligraphers Association, President of Chinese Culture Research Association, President of Chinese Name Research Association, Vice President of World Confucius Research Association, Cultural Consultant of Xi'an East Industry Group, Calligraphy and Painting of Tianye, China The chairman of the board of directors, first-class artist, first-class calligrapher, special award from the State Council, national ceremony for artists, and national intangible cultural heritage. About 100 books such as Dahongpao have been published, and 248 heads of state, international politicians, human elites, world consortia, celebrities and international friends have been placed in the collection. Southwest East is the cultural consultant of the industrial group. Wang Wenzeng, the founder of Chinese traditional culture, created the twelve zodiac cultures. He auctioned 1.2 million yuan in Hong Kong, 10 yuan in the Great Hall of the People, 1.68 million yuan in the Chinese Dream, 1.68 million yuan in the World Dream, and the Chinese Spring, Summer, Autumn and Winter Consortium bought the Dragon under the leadership of the state. A person's collection. The self-written cursive Chinese Dream has been collected by major leaders of the country, and the self-written cursive World Dream has been collected by the UN Secretary-General. "Jingang Jing", "Yuan Tong Jing", "Xin Jing", "Good and Evil Cause and Effect Jing", "Sheng Da Jie Jing", "Puxian Xing Yue Jing" and so on are collected by Wutai Mountain. "China dream" and "world dream" were respectively collected by 1 million 680 thousand Chinese and Western consortia. China's Political Consultative Conference (CPPCC) and the mainstream media of thousands of countries publicize the reports. All the funds we have made are all supported by hands in disaster areas and charities. The creation of the "dream of human destiny", "world dream", "China dream", "along the road", "integration of Beijing, Tianjin and Hebei", "twelve zodiac list", "the northern scenery". "The Great East of the Yangtze River" and "The Rolling East of the Yangtze River" have been collected by the UN Secretary-General as China's major leaders, world celebrities and international politicians. The Presidents of the world, the Fortune 500, international celebrities, international politicians and human elites collect calligraphy and painting works. Some of them are donated to Chinese Buddhist temples and local temples. Dissemination and promotion of religious culture. We should build a new religious system, support the Communist Party of China, love the People's Republic of China and abide by national laws, and unite around the Central Committee with General Secretary Xi Jinping as its core. Patriotism, patriotism, love of the people, love of religion, bless the Chinese nation's good fortune, peace and prosperity, Wugu Fengdeng, Wuhua Tianbao, gather the charm of the universe, pick up the essence of the world, accept the ancient and modern classics, absorb the essence of all things, push forward the times. Standing in the new era, under the guidance of General Secretary Xi Jinping's Sheng Shi thought, the United Nations No. 1 project will be jointly constructed with the world's high-tech, world financial organizations, social capital, modern network talents and world management elites. To the south of Beijing Fangshan and Daxing, and to the north of Shijiazhuang, the integrated development model of Beijing, Tianjin and Hebei put forward by General Secretary Xi was realized. To achieve this grand strategic goal, Wang Wenzeng, chairman of the board of directors of China Tianye Group, joined hands with the international financial organization, the world's top 500, inventors of high-tech achievements, management elites, social capital, and friends from all walks of life to build an international metropolis, so that mankind can share the fruits of reform, share the grand age of peace and promote the world. Economic recovery, to build a harmonious and beautiful home for mankind. Peaceful rise, harmony between man and nature, nature of Taoism, great love and boundless world Datong. Move the United Nations to the Xiong an new area of China, build the south pole of the belt Road area, connect all the countries of the world, form the global village, and create the Chinese urban agglomeration. Human solidarity, world peace, common development of all countries in the world, mutual benefit and win-win are the only pursuit of mankind. In today's world, there are more than one hegemony, more than three, and the transition to the two poles. While maintaining world peace and human development, we will lead the Asian people to prosperity and design a grand blueprint for human development. To benefit 7.5 billion people of mankind, long live world peace and long live human solidarity; world peace is the first productive force, and China and Russia are the strategic rocks for safeguarding world peace. To cooperate with the European Union, unite NATO, friendship Africa, build China, Japan, South Korea, Russia, Mongolia, India, Vietnam and the Philippines free trade area, to lead the world in a peaceful Asia, a developing Asia and a prosperous Asia, and to contribute to the United Nations and the people of the world in the future. 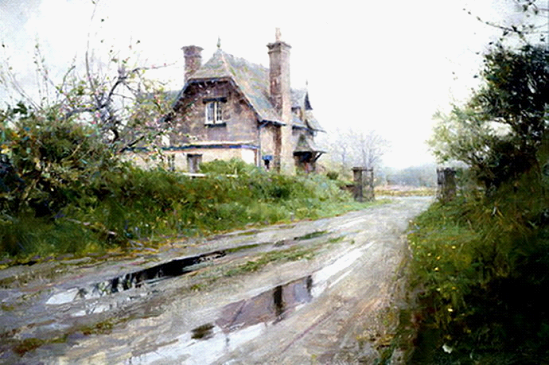 Richard Schmid, the world's most outstanding painter and art educator, was born in 1934 in Chicago, Illinois. His earliest artistic influence came from his grandfather Julian Oates. 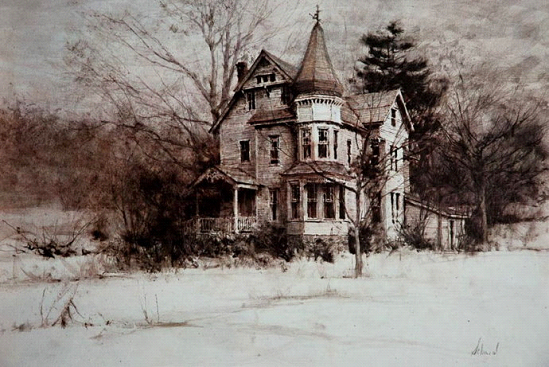 Richard Schmid began studying characters, landscapes and anatomy at the age of 12 until he entered the Chicago Academy of Arts and studied classical painting techniques under the guidance of William H. Mosby. His mentor, William H. Mosby, graduated from the prestigious Royal College of Brussels in Belgian Antwerp and was an outstanding expert in European and North American realist painting techniques. William Mossbaic studied the concepts and techniques of the Dutch, Belgian, Italian, French, British and Spanish masters and all the late 19th century, European and American painters. He focused on a systematic study of various disposable paintings (Alla Prima, Italian) or direct paintings of various historical periods. Therefore, it has a direct impact on Richard Schmid's later study and research, as well as the formation and development of individual artistic style.. 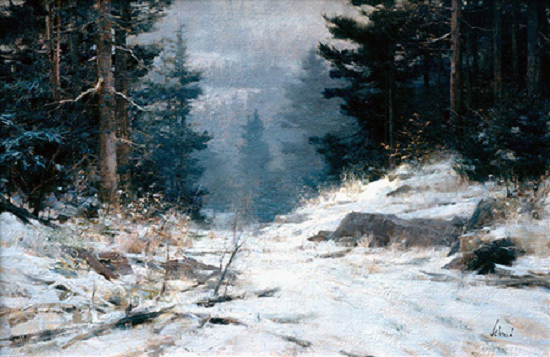 In 2000, Richard Schmid won the highest honor of the John Singer Sargent Medal. In 2005, Richard Schmid won the Portrait Society of America's annual gold medal. 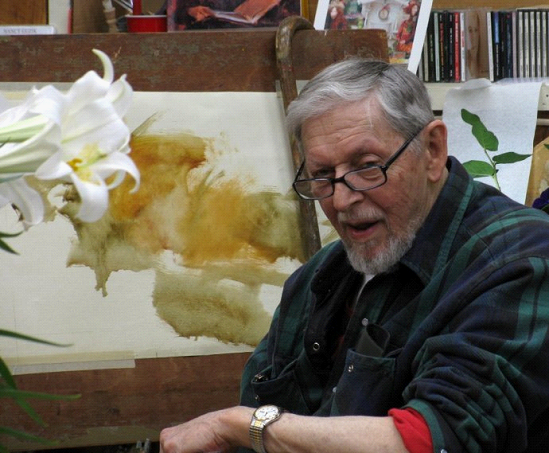 Richard Schmid (Richard Schmid) also received an honorary doctorate from the Academy of Fine Arts. During his artistic career, Richard Schmid promoted art education through his books, articles, lectures, art studios, and television speeches. He travels extensively in Europe and America. Richard Schmid and his wife Nancy Guzik currently live in Vermont..